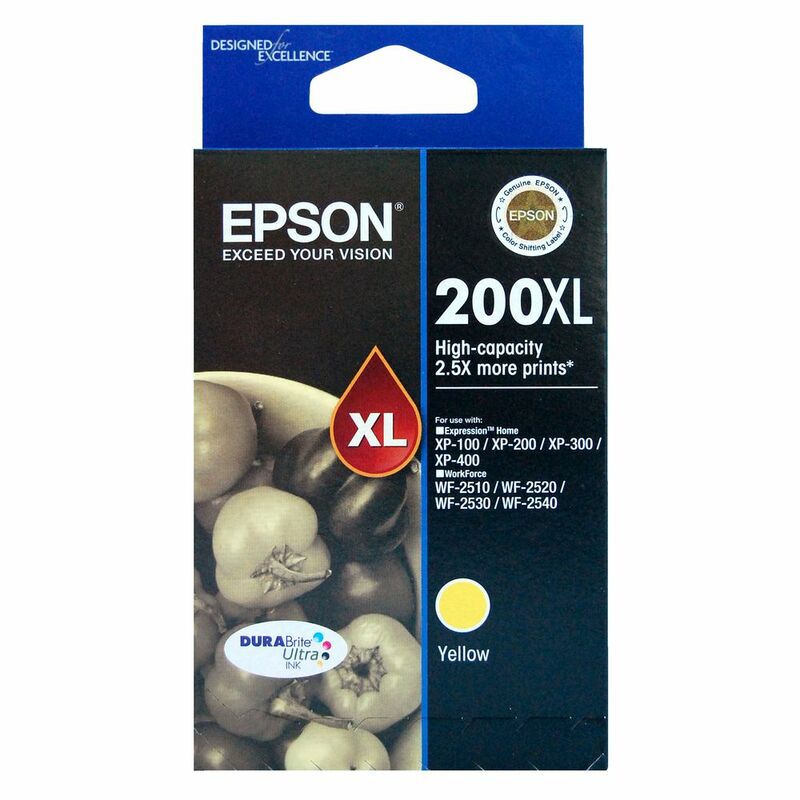 Epson 200xl Genuine Yellow Ink to suit Expression Home XP-100, XP-200, XP-300, XP-400. WorkForce WF-2510, WF-2520, WF-2530, WF-2540. Up to 2.5x more prints.